My beautiful son turned 3 over the weekend. 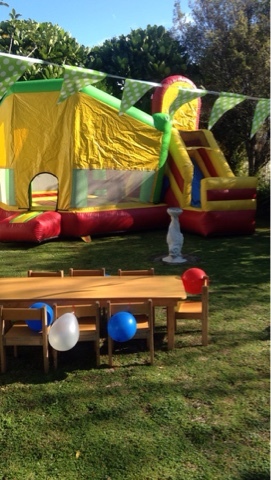 He's never had a big birthday party so we thought we'd do something extra special for him. 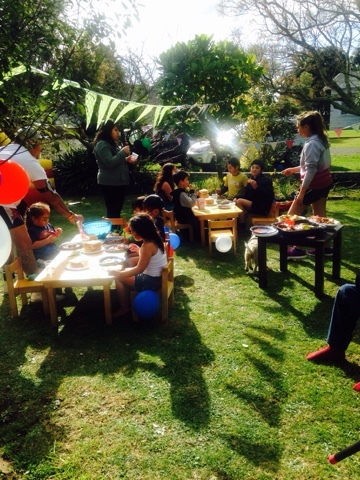 He wanted a super hero party at home - taking advantage of our front lawn and living space (which I've wanted to do for a long time) and utilising things we already had around the house, I thought I'd share with everyone these inexpensive tips for home birthdays. 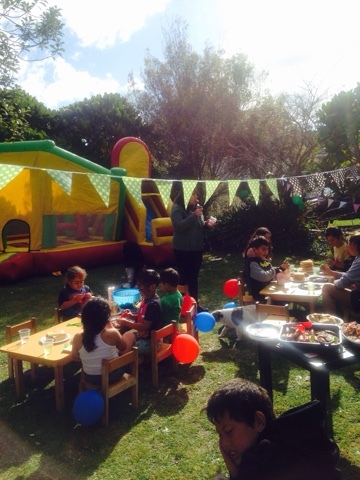 We borrowed tables and chairs from the day care centre - hung pennant banners and balloons and hired a bouncy castle. 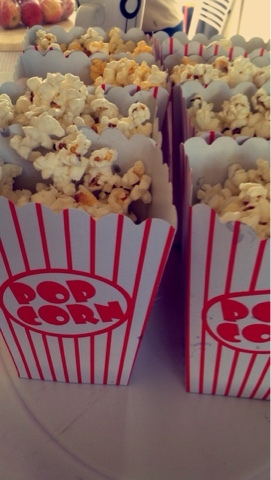 We purchased these pop-corn boxes but I'd recommend if you had the time and resources - print them. There are so many websites with printable templates. 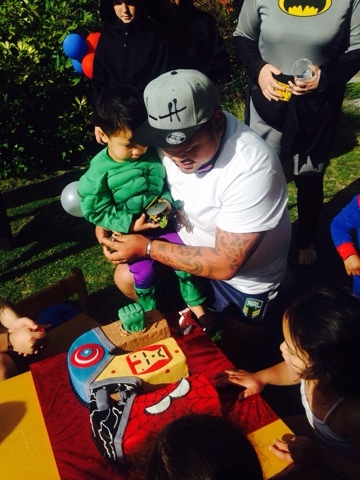 And my little Hulk loved his avengers birthday cake that my brother-in-law purchased for him. He was so spoilt with gifts - it's so beautiful and heart warming to see your children happy. 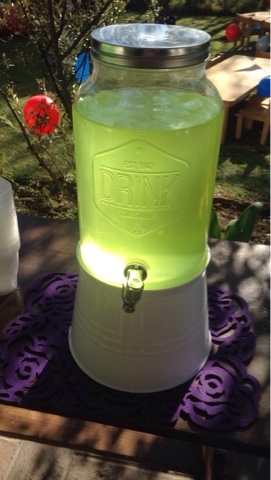 This was the most inexpensive - laid back - easiest birthday or party I have ever thrown. The clean up afterwards took less than an hour and all the children were exhausted from playing. 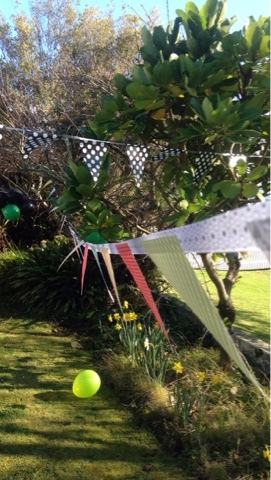 I would love to hear your guys tips on home birthdays and DIY's you have to save on costs. Needless to say - thanks to my brother-in-law who afterwards took my children for the night - my best friend and I curled up for chats & treated ourselves to a bevvie. 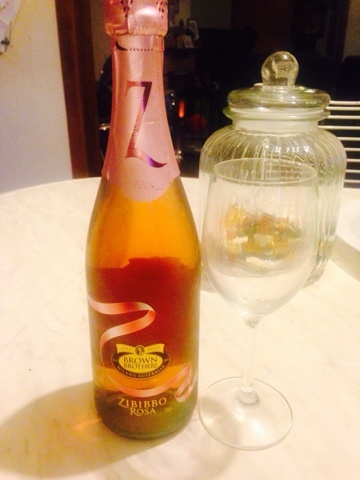 To celebrate being a mum.